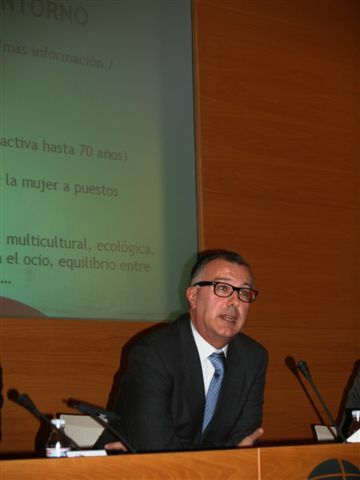 Martín López, Commercial Director of Ofita, participated in a round of debate regarding equipment or furniture to facilitate flexible work, which was held within the framework of the 3rd Iberian Conference on Space and Furniture Management organised by the International Facility Management Association (IFMA). During his speech, Martín López argued that social, demographic, cultural and technological changes which characterise our new era are being converted into new structures and business cultures, as well as into different working dynamics. And, against this new backdrop, we are revolutionising offices with designs and features in harmony with new business ethics. Martín López referred to 5 mega trends in office design (socialisation, domesticity, interactivity, flexibility and non-territoriality) and in the demands which can be made on flexible office furniture to ensure that it is transformable, multi-purpose and multifunctional, amongst others.